On Saturday, B will leave for a 10-day trip to Brazil to serve the mission organization he helps out with. He will come back tired, yet also very fulfilled. Anyway, living a life of service and intentionally modeling a life of service to our kids is an important part of our lives. Here’s why. Over the years B and I have served in various ways both in our church and in our community. We’ve done this, partly, to show our girls that giving of your time, not just your money, is important. But we probably didn’t dream that we’d get back so much more than we gave. We’ve gained friends. We’re so thankful for the many friends who we would not have met if we hadn’t put ourselves in a position to work with other people. Some of my favorite friendships were formed when our girls were in elementary school and I served on the PTA. Getting to know other moms and the staff of the school was an incredible blessing in my life, and it still is today. We’ve gained life skills. Serving teaches you stuff. Like, I had no idea that diapering a boy baby was a little bit different than diapering a girl baby—you have to move a lot quicker. I would not have known that if I hadn’t helped out in the church nursery. So, you know, you learn practical stuff like that. We’ve gained wisdom. Sometimes serving helps you become just a little wiser. Sometimes you learn when to keep your mouth shut. Sometimes you become attuned to the agendas of others. Sometimes you just learn to listen to the voice of God in your head and do what He says. We’ve gained perspective. Serving just reminds us again and again of what’s important—pouring ourselves into something outside of our little family or our little home or our little circle of acquaintances. It reminds me that there is a big world out there that can be helped just a little by my knowledge or my experience or my wisdom. So the benefits are many and varied, and they will bring amazing blessings into your life. Service isn’t always easy—like I said, I’m a little wiped out from my weekend—but I do believe it’s a necessary part of life, this giving back, and it’s important to model it for your kids. This is where the intentionality part comes into play. Because it’s important for your kids to see you serving. Why? A life of service is fulfilling. Just like what I’ve pointed out above, the blessings of service are many. Friendships, a feeling of self-worth, wisdom. Whatever the blessings may be, our kids need to see that serving others is a privilege and well worth our efforts. A life of service is other-focused. This, I think, is the most important reason to model a life of service to your children. How many times have you heard the phrase, “It’s not about you”? And how many times have you rolled your eyes when you’ve heard it or, worse yet, had your children roll their eyes at you when you’ve said it? Let me tell you something . . . it’s true. I’m going to step on my mommy rant platform here and tell you that if you think this world is here to serve you, you’ll probably have a pretty miserable existence. If, on the other hand, you think you’re put here to give back, to serve those around you, you’ll find that life is pretty fulfilling, joyful, FUN! And don’t we want our kids to have that kind of fulfilling life that sees potential and finds a purpose? I know I do. I want my girls to know that the purpose in their being here has nothing to do with them. I want them to know that a part of their purpose is to serve others. I want them to see that when we serve, we show God, not just tell Him, how much we love Him. In the end, we can tell our kids “It’s not about you” until we’re blue in the face, but until they see us making life not about us, they won’t really believe it. 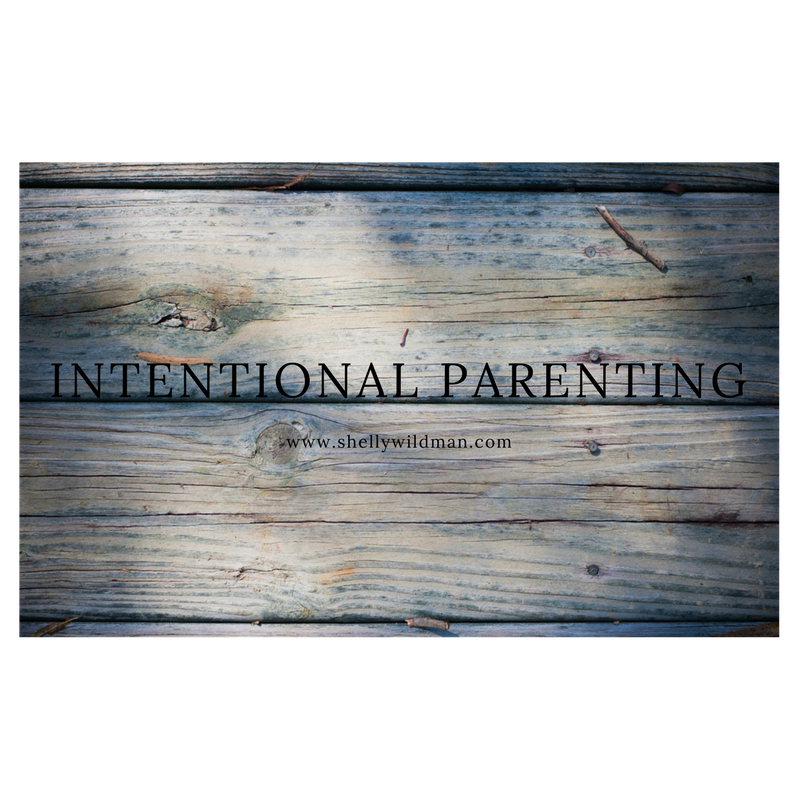 If our kids see Mom and Dad sitting on the proverbial sidelines, waiting for life to come to them, they will model that when they’re grown up. And they will miss out on all the joys and blessings of service. But more than that, they will miss out on sharing the best of themselves with others. They will not be able to see that they have something to offer the world—their time, their talents, their gifts. And using those gifts makes our kids feel like contributors to society. Everyone has something to give. Even you. Even me. We can all do something to make this world a better place. I challenge you to help your kids see themselves as important contributors to their school, their community, their church, their world. For B and I, modeling service has taken many forms. As I’ve said, we have both served in various capacities in our kids’ schools, in our community, and in our church. But we’ve tried, as our girls have gotten older, to include them in service as much as possible. For instance, right now all three girls serve alongside me in our church nursery. Once a month we get to go cuddle babies for an hour or so. It’s not a big deal. It doesn’t take a lot of time. And the girls get to see that, even though we’re tired at the end of our shift, we’re also full of happy stories about those babies. We love our time there. As the older two have grown, they have had more opportunities to serve—away from the watchful eyes of Mom and Dad. This year, both Kate and Caroline have gone into Chicago every Thursday to tutor kids in reading and math. And every week they come home with radiant faces, brimming with stories of the children they’ve touched. Those Thursdays, I think, have been a highlight of their year. Kate, Caroline, and even Julia are beginning to experience for themselves the benefits of service—the joy, wisdom, and sense of purpose that comes from serving. One of my great hopes is that they will continue to serve as long as they live. Until they are tired . . . and fulfilled.